Know more about the upcoming movie, Ice Age: Collision Course, by watching its hilarious second trailer. This Blue Sky Studios and 20th Century Fox Animation presentation picks up on its fifth installment and it's not showing any signs of wavering. the series just gets more fun. better, and more exciting, and "futuristic." Ice Age: Collision Course is directed by Mike Thurmeier and Galen Chu. The original cast, including Ray Romano, John Leguizamo, Denis Leary, Seann William Scott, Josh Peck, Simon Pegg, Keke Palmer, Wanda Sykes with Jennifer Lopez and Queen Latifah, returns to be joined by Stephanie Beatriz, Adam DeVine, Jesse Tyler Ferguson, Max Greenfield, Jessie J, Nick Offerman, Melissa Rauch, Michael Strahan and Neil deGrasse Tyson. Watch the new trailer of Ice Age: Collision Course. 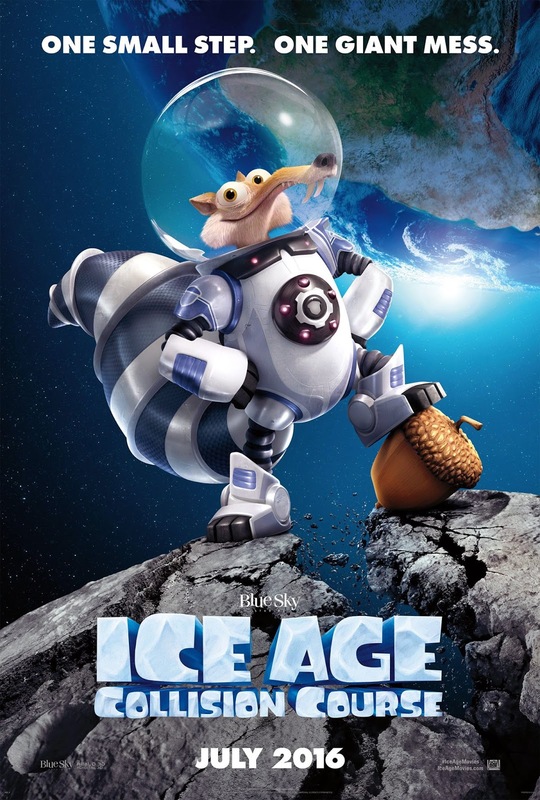 Ice Age: Collision Course will travel through space and into cinemas on July 22, 2016.